5 Volumes, 9 Issues, 36 Articles available from 2014 to 2019. This journal in Human Resource Management is an Open-Access international and peer-reviewed journal devoted to publish scholarly articles entailing empirical and conceptual reviews. Intended for researchers, policy makers, and practitioners, this covers research topics on allied fields of HR and Organisational Behaviour including labour economics, organizational psychology, individual and group level of analysis. However, International Journal of Human Resource Management also considers research work and analysis at the macro level, i.e. Organisational societal level. The objective behind ELK’s journal of organisational behaviour is to provide a platform for ideas and critical examination of models, frameworks and theoretical concepts. Striving to live up to this objective through this human resource management journal, we publish research articles, case studies, and empirical studies on topics critical to managers of today. 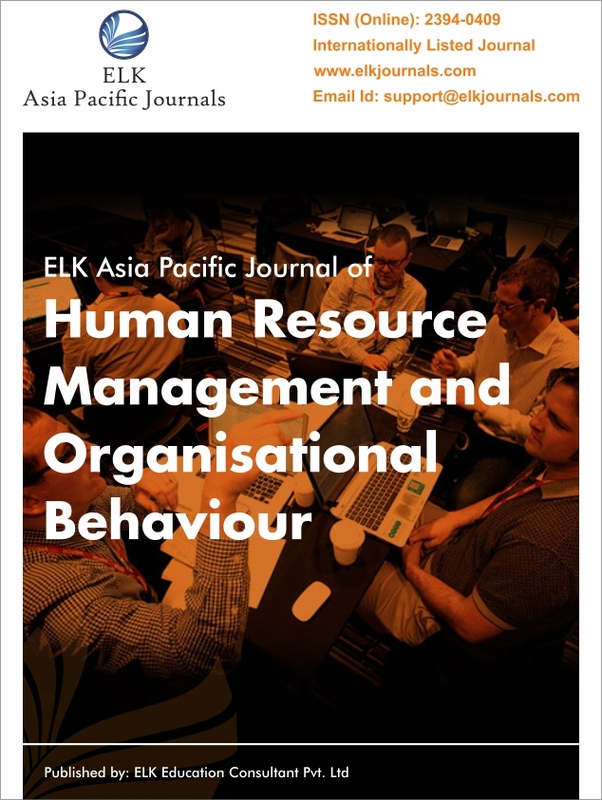 Our journal in HRM of Organisational Behaviour is also available for Subscription at a reasonable cost. Management insitutes or universities. Interested in subscribing to our international journal of human resource management are welcome to share their intent through this online Journal Subscription form. Our journal of Organisational Behaviour is also available for Subscription at a reasonable cost. Management insitutes or universities. interested in subscribing to our international journal of human resource management are welcome to share their intent through this online Journal Subscription form. For paper subsmission enquiries or membership application to editorial board of the journal, please write in to the editor at editor.eapjhrmob@elkjournals.com.